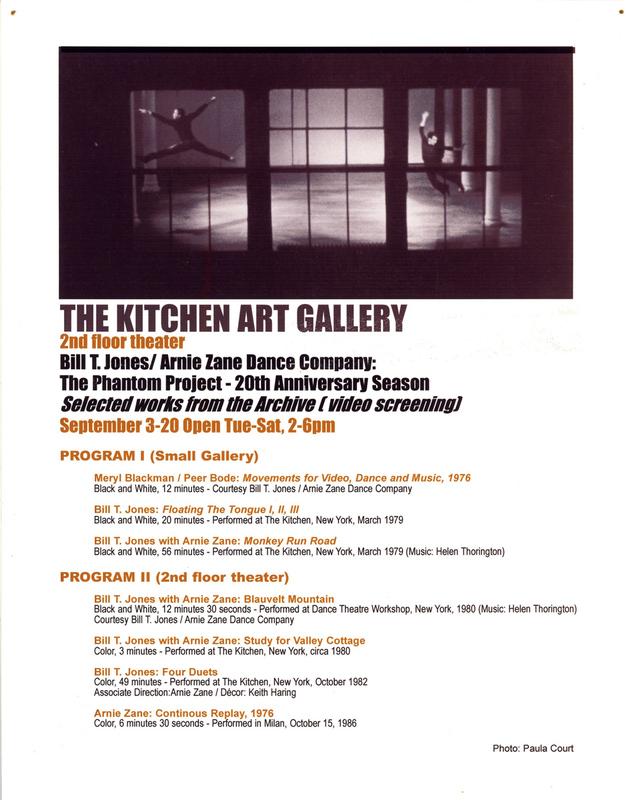 For most of September 2003, The Kitchen was home to The Phantom Project, a celebration of the Bill T. Jones/Arnie Zane Dance Company’s twentieth anniversary season. The artists, partners both in dance and in life, performed many of their first works—solo and duets—at The Kitchen’s Broome Street location in the late 70s and early 80s. 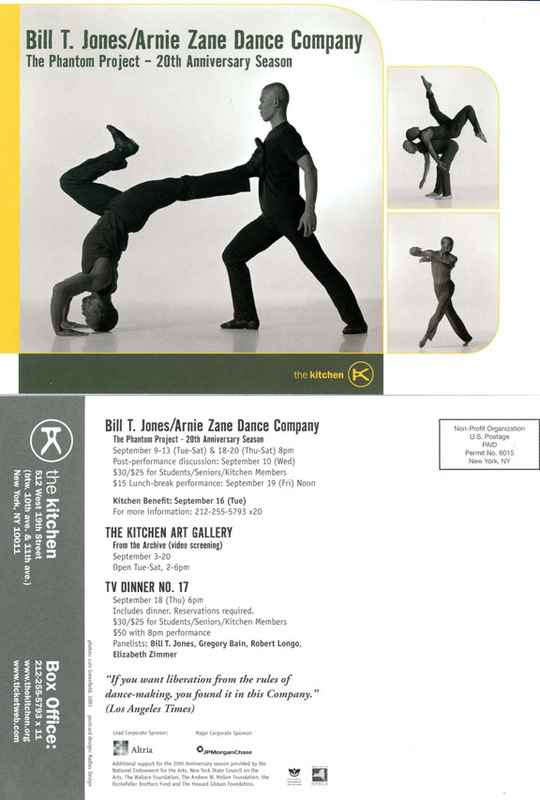 A gallery exhibition featured archive photographs and film footage from the company’s nascent years and some of Jones and Zane’s more famous performances—Blauvelt Mountain (A Fiction), Duet x2, Continuous Replay, and Floating the Tongue included—were performed by new members of the company and occasionally joined by Jones. Zane, who died of AIDS-related lymphoma in 1988 could not take part, but those who discussed the exhibition in print often described his presence as the exhibition's eponymous phantom.